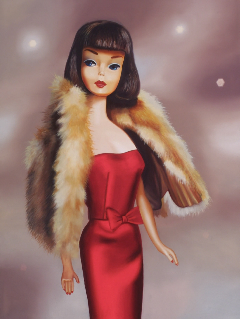 Judy Ragagli’s oil paintings are so life-like, many people have mistaken them for photographs. 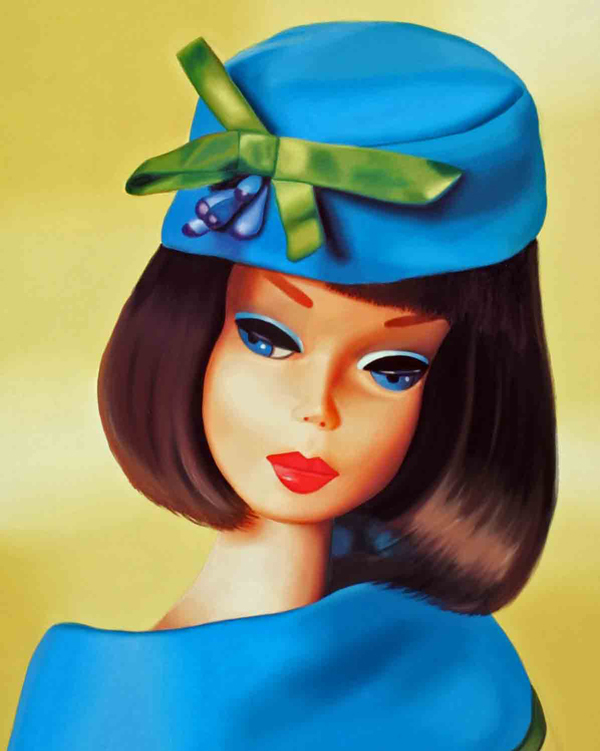 Her goal is to pay homage to this surviving icon of modernity, femininity, and style with her work. 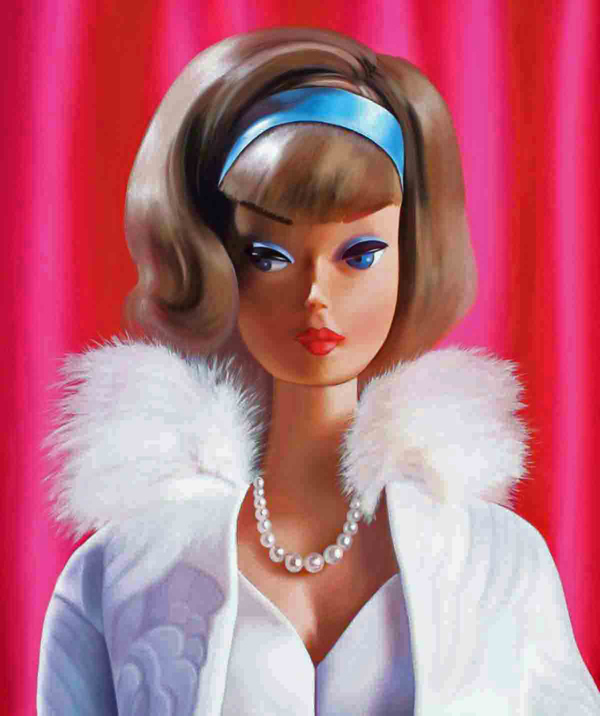 She wants her viewers to recognize nostalgic Barbie as an important and positive influence within American society on both the individual and aggregate levels. 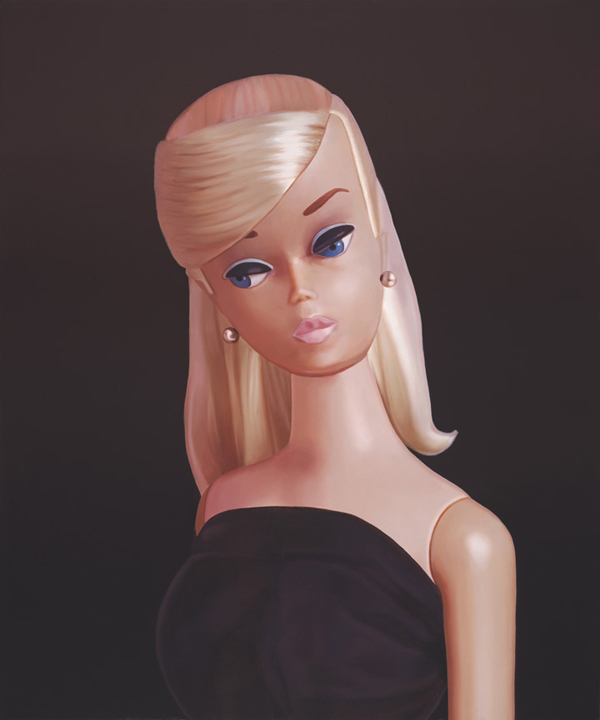 By presenting Barbie through portraiture on canvas, she aims to create a vision of Barbie that is still and noble, striving to elicit veneration for Barbie’s legacy while painting a mark of beauty and grace into the world. 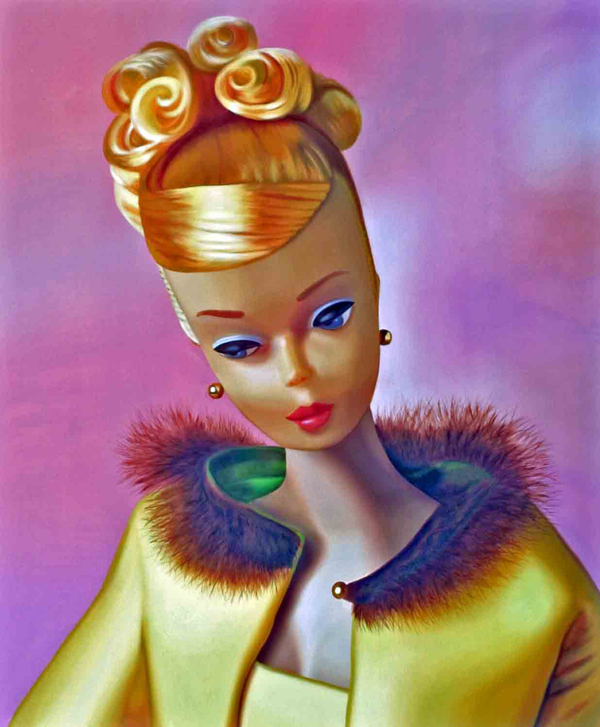 In order to achieve accurate tonal properties of Barbie’s plastic flesh, Ragagli employs an arduous process of specialized mixing of oil colors that few artists have been able to master. 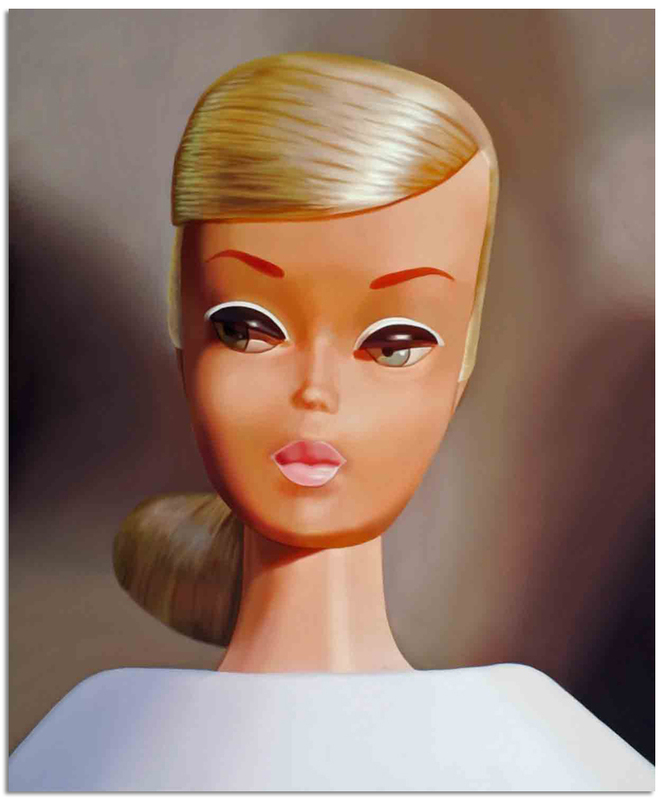 Using only seven original color tubes of oil, she is able to precisely translate the vast and scintillating color properties of Barbie’s skin, hair, make-up and wardrobe as they interact with reflective light. 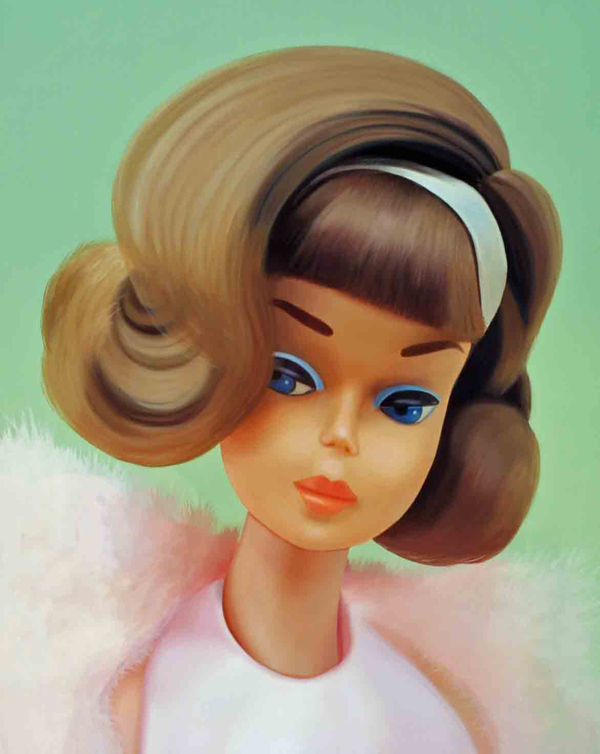 The effect of her process and style culminates in a cohesive vision of the beauty and grace of Barbie and the artist’s own commentary on the significance of this great American Icon. 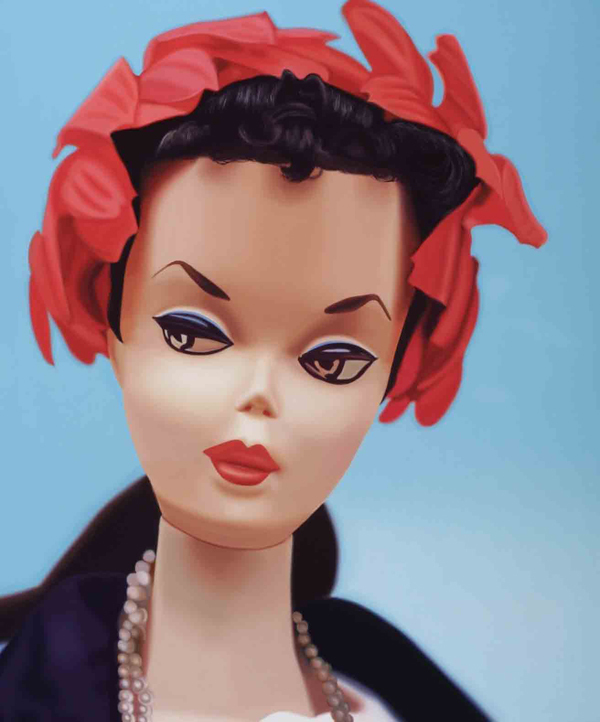 Ragagli’s artwork has been exhibited in Australia, Korea, United Kingdom, Canada and New York, Chicago, San Francisco, Phoenix, Seattle, Portland, Los Angeles, Palm Springs, and Charlotte.